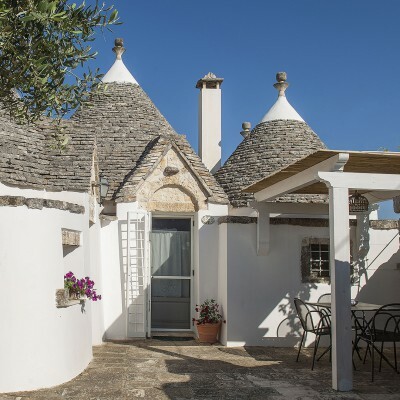 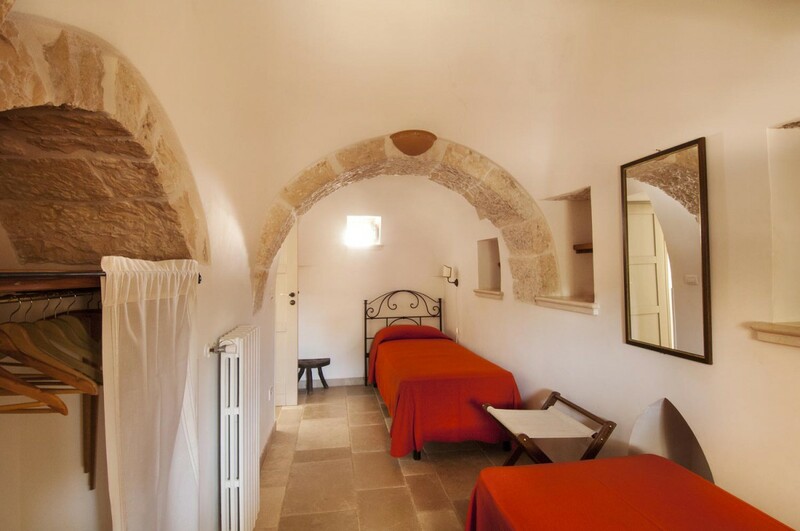 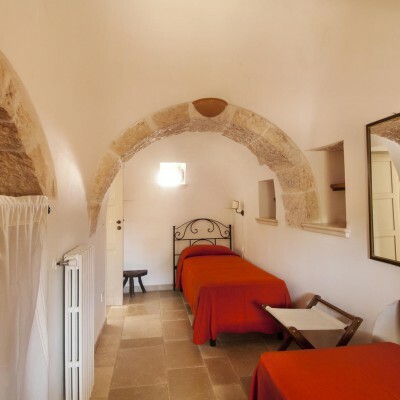 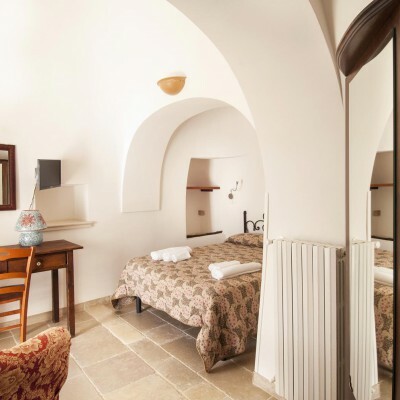 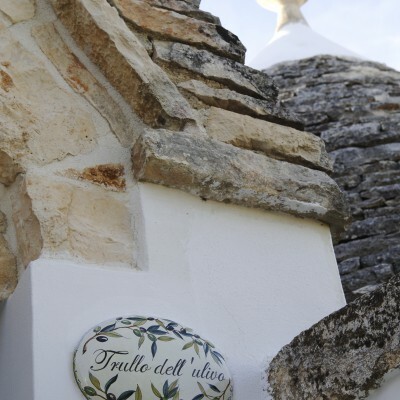 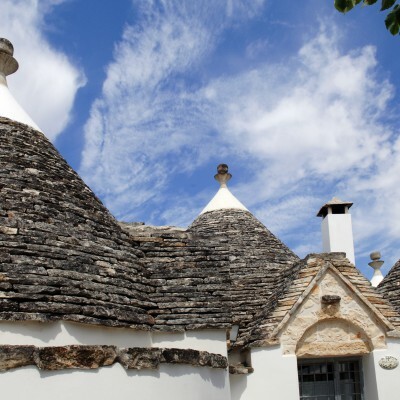 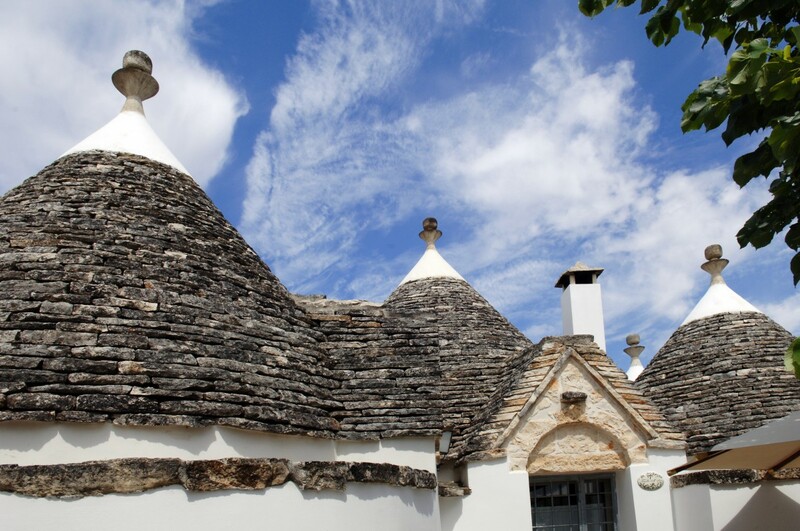 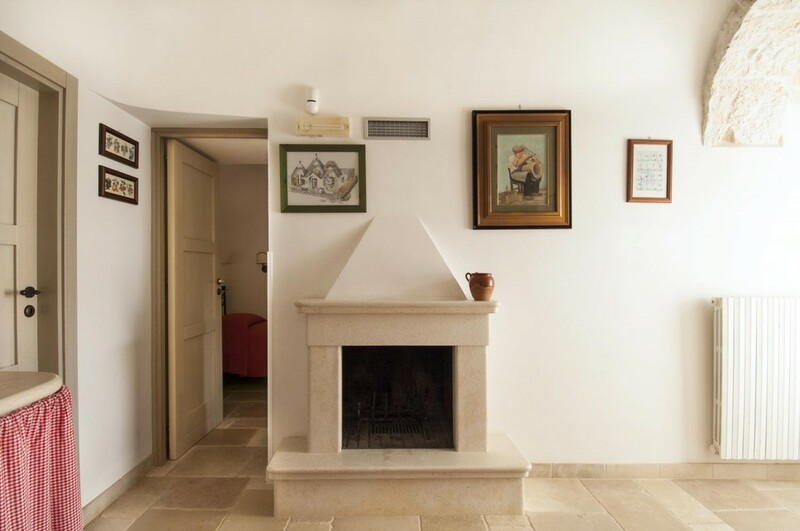 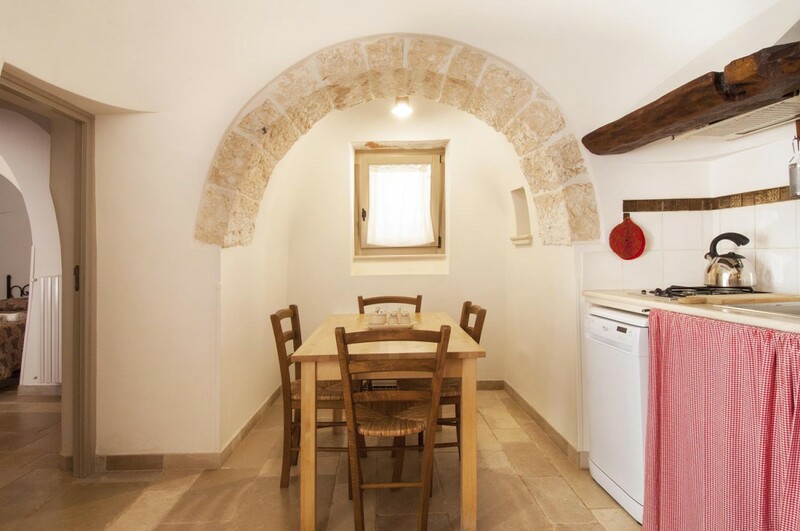 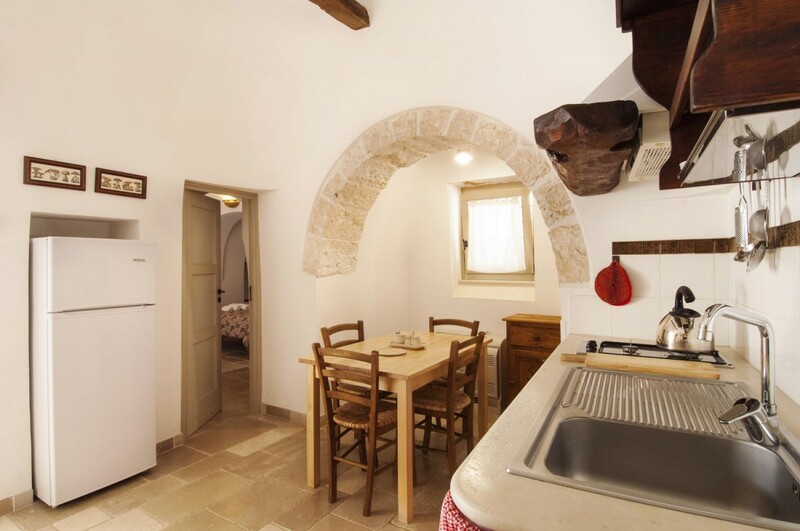 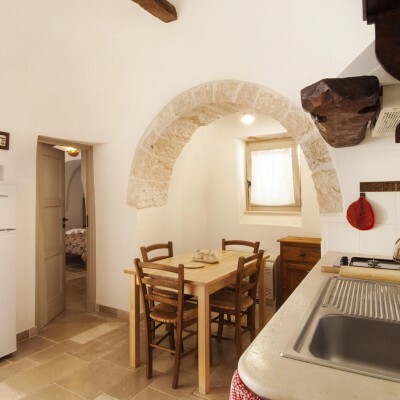 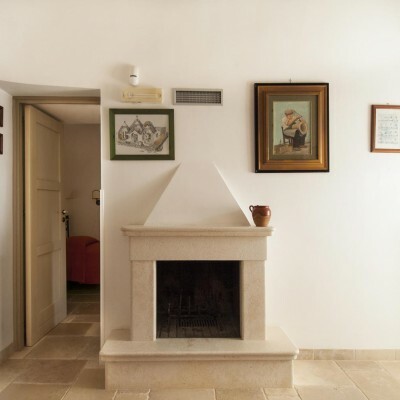 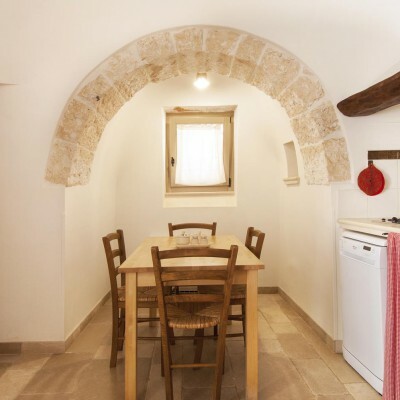 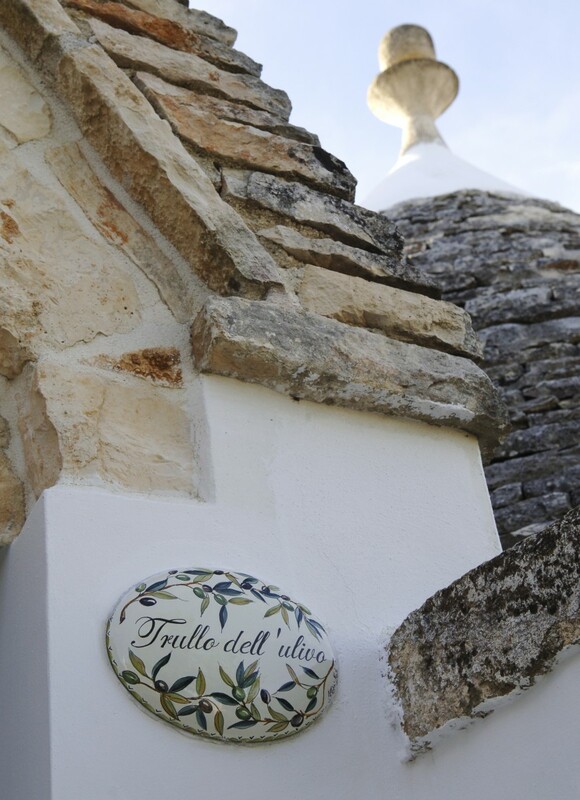 This building is an ancient trulli, with seven beautifully restored conesand some delightful authentic stone features, such as a manger and some stone rings where the pack animals were tied. 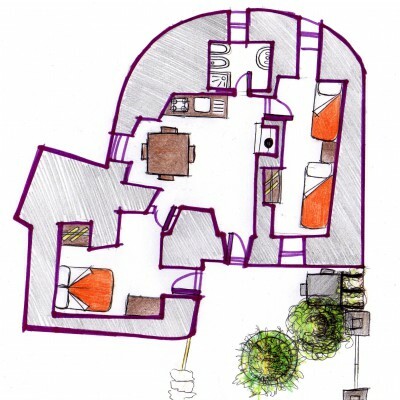 The welcoming interior has two bedrooms, one with a double bed and one with two singles, with the possibility of adding a baby’s cot. 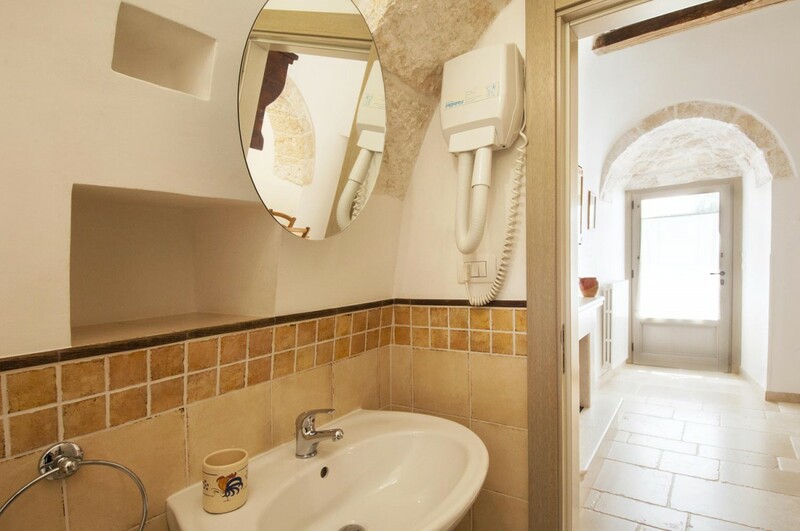 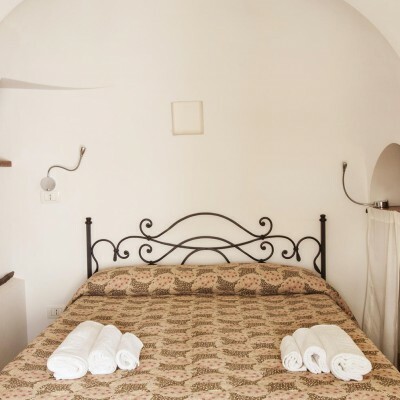 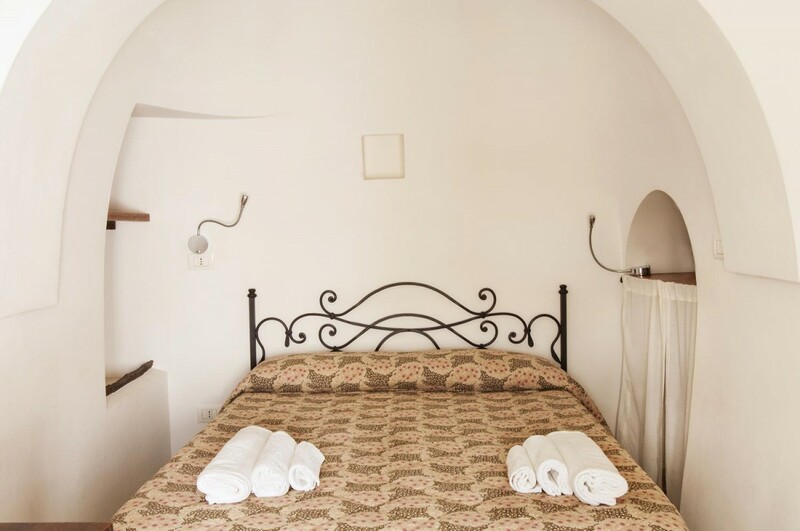 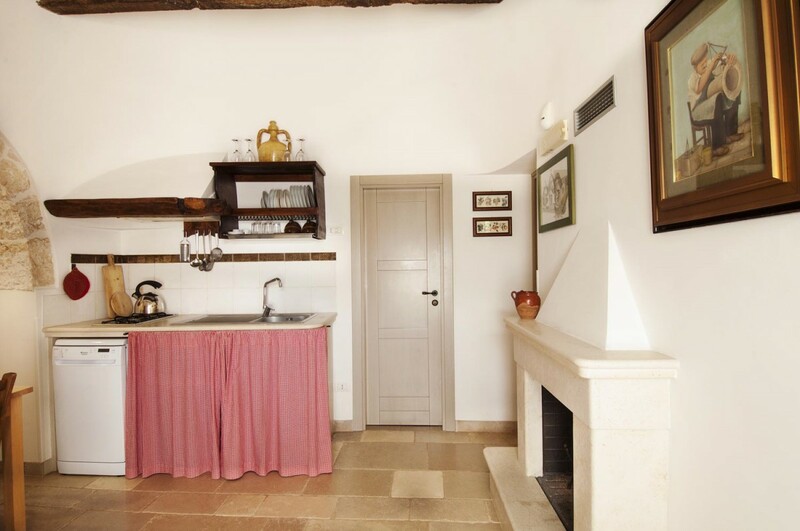 The bathroom, created from a little trullo, is complete with a shower and wall hairdryer. 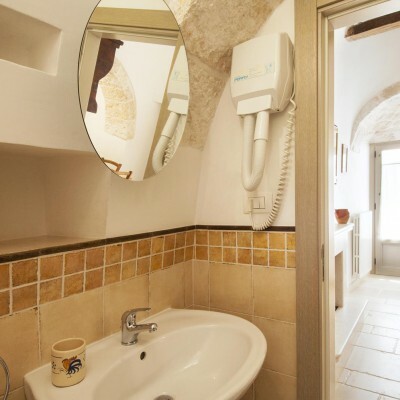 The accommodation is also equipped with satellite tv and a radio/stereo/cd player. 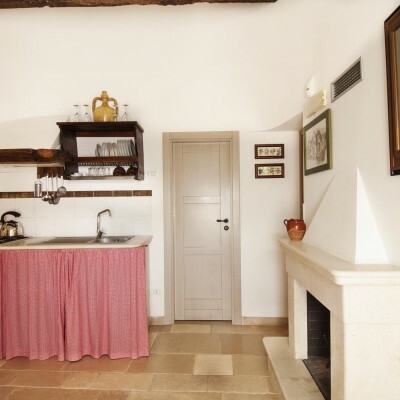 All household linen for the bedrooms, bathroom and kitchen is provided. 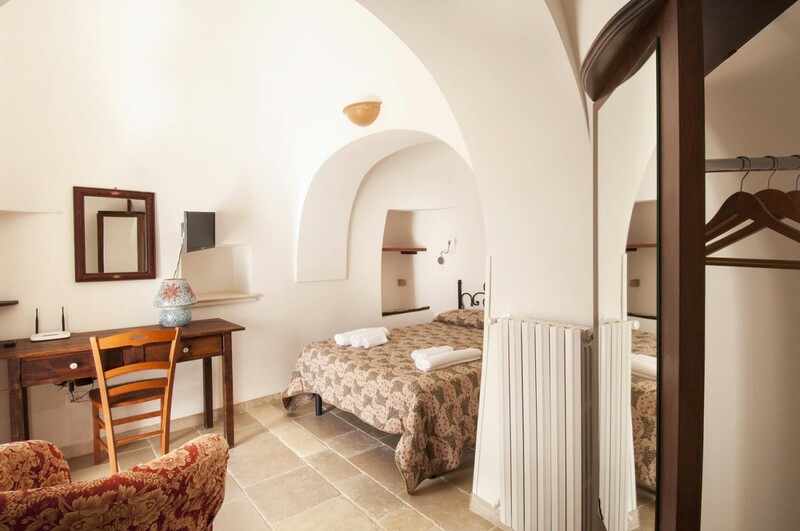 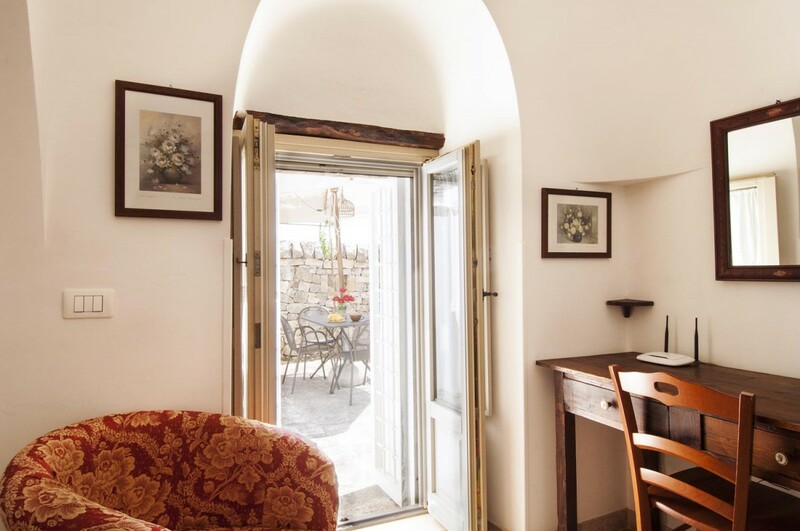 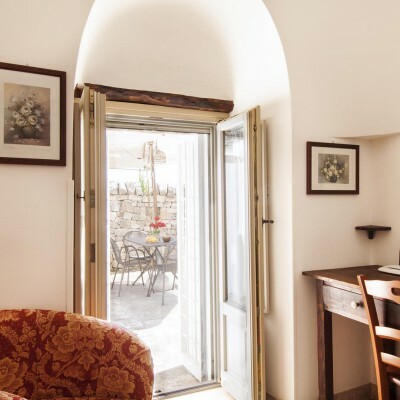 Outside is a beautiful old-fashioned circular threshing floor surrounded by an old dry-stone wall, in the centre of which stands an olive tree, waiting to welcome you back from your day’s sightseeing. 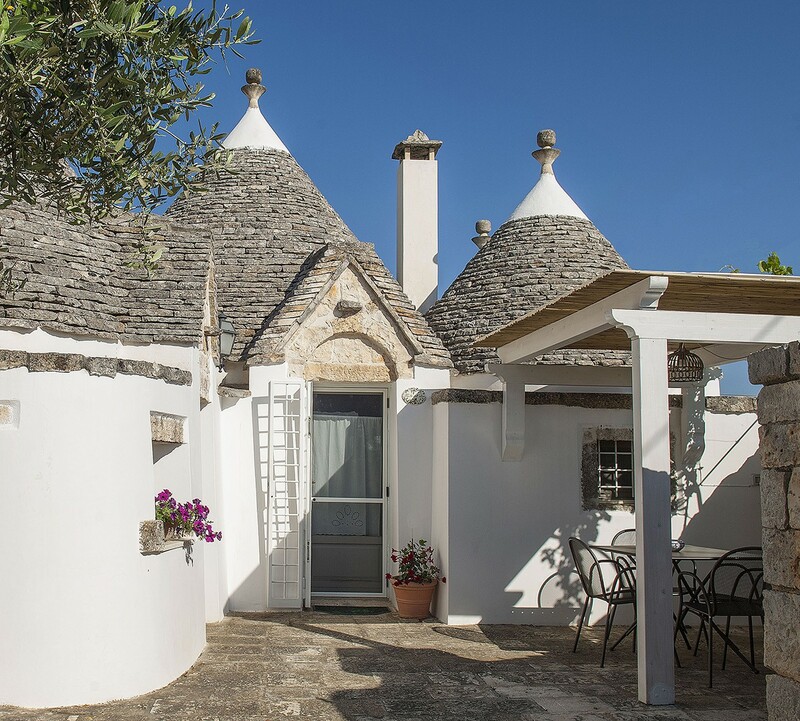 In this courtyard standsan outside table with chairs, a garden umbrella and a barbecue, where you can experience the joy of dining by the light of the stars.